The Perseids peak had already passed, but the sky was better so I decided to set up the trusty Canon XTi and see if I could catch some meteors. This time instead of pointing the camera straight up, I decided to frame the top of the house to provide some reference. 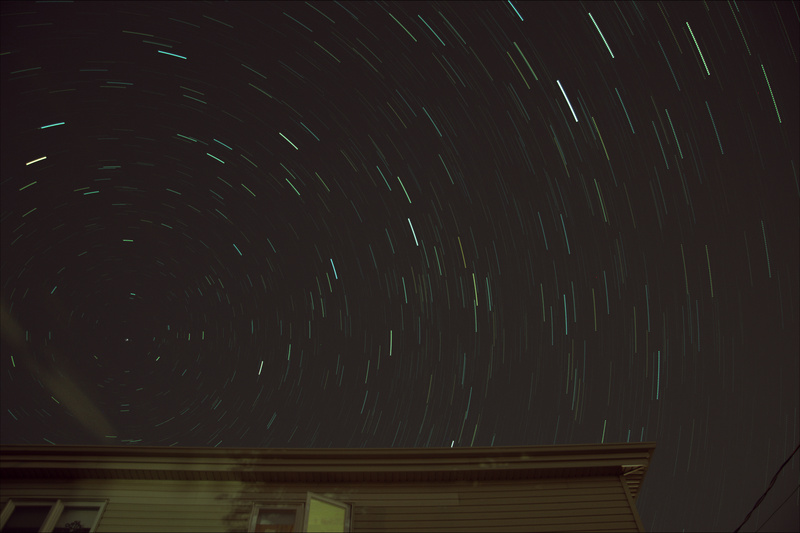 Out of the over 120 shots taken, a sequence of 30 frames were without clouds obscuring the stars. This was a perfect opportunity to mark the celestial pole by adding the images without alignment. This entry was posted in Photo and tagged Astrophoto, Astrophotography, Celestial Pole, Constellation, Night Sky, Pole by Benoit Guertin. Bookmark the permalink.